A report published by Amnesty International last week asserts that the Democratic Republic of Congo must strengthen its judicial system in order to ensure adherence to due process, hold perpetrators accountable for war crimes and crimes against humanity, and offer justice and reparation to victims. The Time for Justice is Now: New Strategy Needed in the Democratic Republic of the Congo describes the violence and international crimes in the country’s recent history (with reference to the UN Mapping Report), the vulnerability of the judiciary to threats and political influence, the lack of sufficient resources to prosecute offenders, inadequate support and protection of victims and witnesses, weak enforcement of court judgments, and poor prison conditions. Raise victims’ awareness of their legal right to collect reparations when a court finds the government responsible for international crimes. The International Committee of the Red Cross issued a report earlier this week examining 655 incidents of violence involving medical aid in conflict zones, which the organization says is part of a wider, growing trend of attacks against medical personnel and infrastructure that is hindering the provision of emergency healthcare to communities in need and violates international humanitarian law. [AP] The full report, Health Care in Danger examines sixteen countries (apparently, Somalia, Afghanistan, Democratic Republic of Congo, Somalia, and Iraq, among others). State armed forces were identified as the people committing violence in 33% (216/655) of all events analysed, armed groups in 36.9% (242/655), and the police in 6.9% (45/655). […] In 22.6% (148/655) of the events, some kind of explosive weapon was used. Firearms were known to be involved in 34.2% (224/655) of the events. … In 9.3% (61/655) of events, weapons were not a factor (e.g. because the events involved threats delivered by mail or phone or administrative decisions with implicit threats). For 27.0% (177/655) of events, no information on the type of weapon used by the people committing violence was available. Id. at p. 7. The report also indicates that in the majority of events, personnel and healthcare facilities were harmed, resulting in the suspension of health care. Id. The ICRC’s photo gallery, Health Care in Danger: The Many Faces of A Growing Problem, features images of the destruction caused by such attacks. 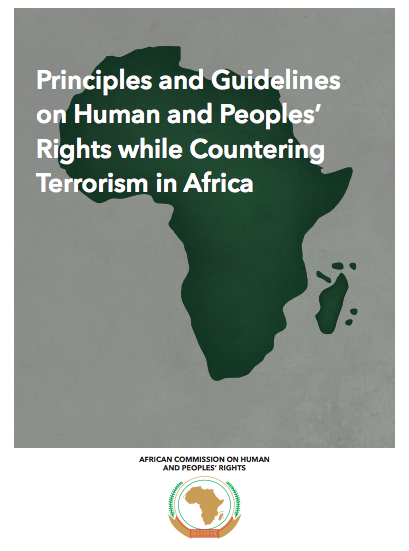 A new 100-page publication by Margaret Sekaggya, UN Special Rapporteur on the situation of human rights defenders, explains the Declaration on the Right and Responsibility of Individuals, Groups and Organs of Society to Promote and Protect Universally Recognized Human Rights and Fundamental Freedoms (Declaration on Human Rights Defenders), the rights it protects, and how they may be implemented. UN Special Rapporteur on the situation of human rights defenders, Commentary to the Declaration on the Right and Responsibility of Individuals, Groups and Organs of Society to Promote and Protect Universally Recognized Human Rights and Fundamental Freedoms (July 2011). A new General Comment No. 34 by the UN Human Rights Committee analyzes restrictions on the right to freedom of opinion and expression as protected by Article 19 of the ICCPR – including laws prohibiting blasphemy, treason, terrorism, and defamation – and addresses governments’ obligations to provide access to information. Roman Anatolevich Kolodkin, the UN International Law Commission Special Rapporteur on the immunity of State officials from foreign criminal jurisdiction has published its Third report on the subject, addressing procedural aspects of immunity (timing, invocation and waiver) and State responsibility. Adam Tomkins, National Security and the Due Process of Law, CURRENT LEGAL PROBLEMS (2011) p. 1-39 examines the balance between national security concerns and procedural fairness under English law, with a closer look at special advocates and closed materials, as well as the cases of Binyam Mohamed, Al Sweady, and Al Rawi. Craig Forcese, Spies Without Borders: International Law and Intelligence Collection, 5 J. NAT’L SEC. L. & POL’Y 179 (2011) examines the Canadian Federal Court’s 2007 decision concluding that the Canadian Security Intelligence Service had no authority to conduct covert investigations abroad. Jens David Ohlin proposes a normative framework for defining States’ use of targeted killings, based on such factors as the individual’s direct participation in hostilities and functional membership in a terrorist organization, in Targeting Co-Belligerents (July 15, 2011). TARGETED KILLINGS: LAW & MORALITY IN AN ASYMMETRICAL WORLD, Claire Finkelstein, Jens David Ohlin, Andrew Altman, eds., Oxford University Press, Forthcoming. Spanish network Coordinadora para la Prevención y Denuncia de la Tortura has released its annual report documenting complaints of torture in Spain, La tortura en el Estado Español (2010). A new report published by the Open Society Justice Initiative, Pretrial Detention and Torture: Why Pretrial Detainees Face the Greatest Risk, analyzes the vulnerability of pre-trial detainees and the safeguards recommended for their protection. In an article for Jadaliyya, Lisa Hajjar documents The Legal Campaign Against American Torture, examining the challenges raised by U.S. organizations and attorneys against U.S. government practices in the ‘war on terror’. 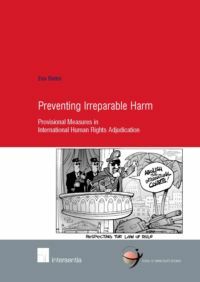 This year, Eva Rieter, assistant professor in public international law and international human rights at Radboud University Nijmegen, has authored an extensive volume which is the result of years of research on provisional measures in the international human rights context. Provisional measures—also termed precautionary measures or interim measures—are those actions which international tribunals direct States to take (or refrain from taking) in order to preserve the object of the litis or to prevent irreparable harm to individuals in situations of imminent risk. International judicial and quasi-judicial tribunals that issue such measures include those of the regional human rights systems, some U.N. treaty bodies, and the International Court of Justice. Although several scholars have previously written about the use of provisional measures, such literature has typically focused on individual tribunals or on particular cases. Rieter’s tome appears to be the first comprehensive analysis of the use of provisional measures in the field of international human rights law. In addition to the dearth of scholarly analysis of provisional measures, this subject has remained elusive to practitioners and academics alike because few tribunals publish their decisions on provisional measures, and those that do may not include reference to supporting international law or jurisprudence. These factors complicate not only the study of precautionary measures, but also the work of those hoping to attain coherence and consistency in—if not progressively expand upon—their use. In addition, the lack of transparency raises questions about the expectations of States vis-à-vis their potential obligations in this area of the law. Rieter’s book examines the conventional and/or statutory authority to examine requests for provisional measures; the procedural rules governing their authorization and implementation; and the substance of nearly a century of decisions granting, modifying and lifting such measures. Its chapters address, first, the relevant tribunals and the competence of each (Chapters I and II), before turning to the use of provisional measures in specific situations of risk (Chapters III through XII), the kind of protective action required of the State (Chapter XIII) and, lastly, more specific questions of jurisdiction and enforcement (Chapters XIV through XVIII).